Camp check-in is between 2:00pm-3:30pm on the first day and camp ends with a parent ceremony at 10:30am on the last day. This 6 day, 5 night program is an all girls setting for you to really be yourself and have fun. 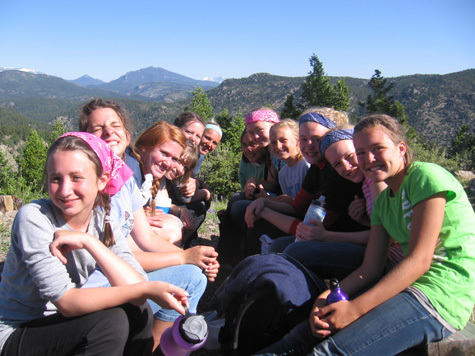 Sleep in teepees with your small group of girls from all over the country on our 1200 acre wilderness property. During the day you can hike to Mica mine (our waterfall cave), attend daily mass outdoors, learn how to shoot a bow and arrow, fish in a beautiful mountain pond and choose from our many crafts or design your own! At night your group with enter all-camp challenges like our renowned night game “Espionage”, attend adoration and confession, huge all-camp bonfires, cook over the campfire and find the perfect overnight spot to sleep under the stars!